It spreads out in the Mandrolisai region at the foot of Mt Mungianeddu, which protects it. Tonara is a town south-west of the parco del Gennargentu, one of the highest of the island at an altitude of between 800 and 900 metres. It gets its name from the toni and toneri, the calcareous rock on which it sits. 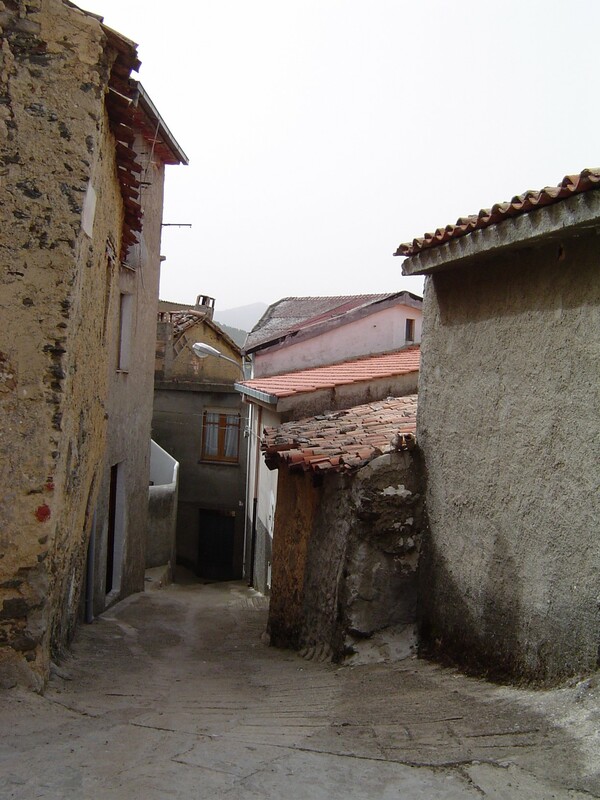 The town came about from the fusion of the ancient subdivisions of Arasulè, Teliseri and Toneri, and it has narrow streets onto which the wooden balconies of the stone houses look out. The three original areas were later joined by the new su Pranu residential area and today the town boasts some two thousand inhabitants. One of the important houses to visit is the grand Casa Porru, once a prison and now a museum of ethnography and ancient trades. 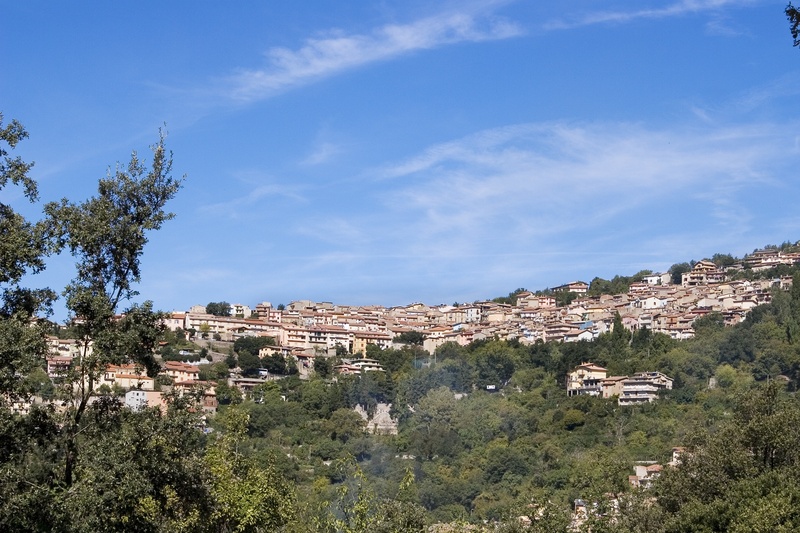 Tonara is also one of Sardinia’s greenest towns, surrounded by woods dense with ancient stands of chestnut, walnut and hazel nut trees. Various trails lead hikers, mountain bikers and horseback riders out of town to explore the highest peaks. The undergrowth is rich with mushrooms like ovolos (Caesar) and black porcini. 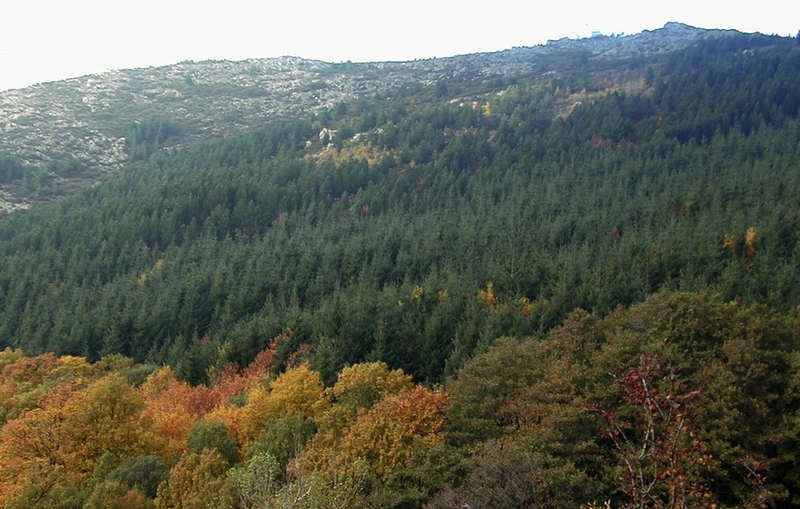 The nuts that fill the town’s celebrated artisanal production of torrone (nougat) come from these woods. 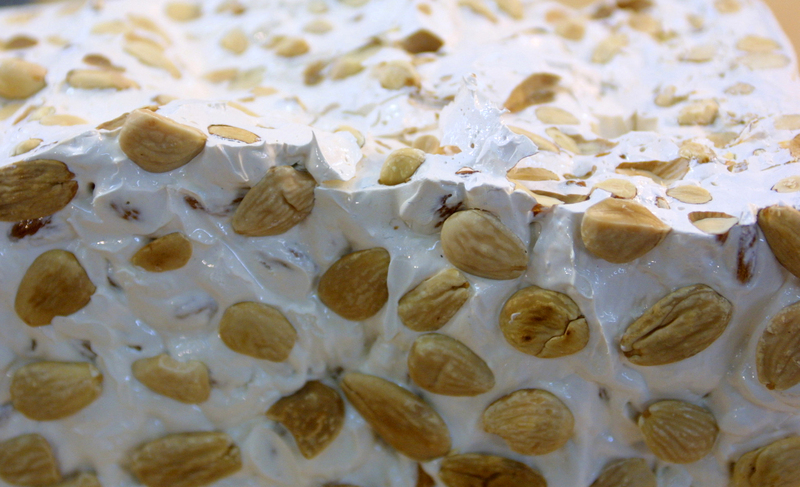 Torrone is also the focus of the town’s best-loved annual event: the sagra del Torrone festival, which started in 1979. It takes place every year on Easter Monday and features folk song and dance. 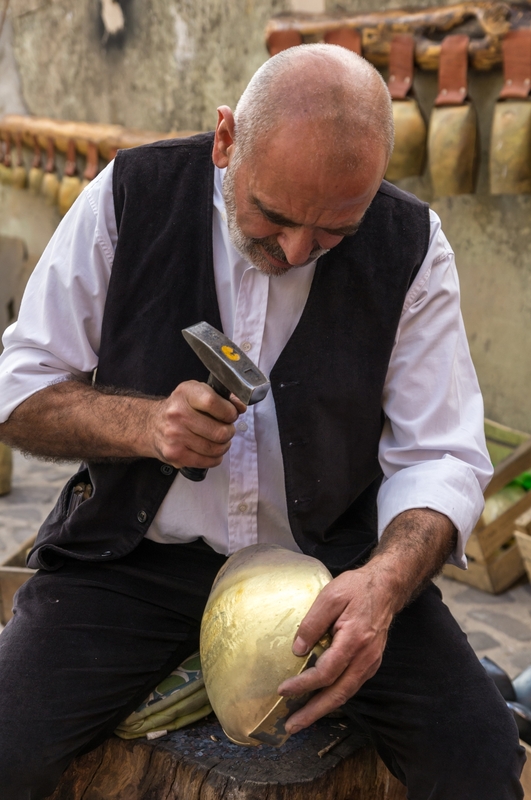 The festival includes a competition wherein artisans compete making cow bells (sonaggias and pittiolos). Other traditional crafts include rugs and tapestries, as well as the many items carved from chestnut, the local symbol. Among its more famous sons is the poet Peppino Mereu (1872-1901), after whom a literary prize awarded in late July is named. The area around town is dotted with pre-Nuragic remains, like the funerary cave of Pitzu e’ Toni and the domus de Janas at Is Forreddos (3200-3000 BCE), which comprises three connecting rooms. A variety of Nuragic settlements date to successive periods and include the remains of su Nuratze. The oldest churches are the XVI century Church of Sant’Antonio, which boasts priceless wall paintings, and the Church of Santa Maria (1607) in the Arasulè district. The Church of Sant’Anastasia was actually older, constructed between the late XIII and early XIV century, but it’s construction material was used in the XIX century to rebuild what is now the Church of San Gabriele. The patron saint is celebrated on 3 August and festivities include a procession in the traditional costumes the locals pride themselves on. 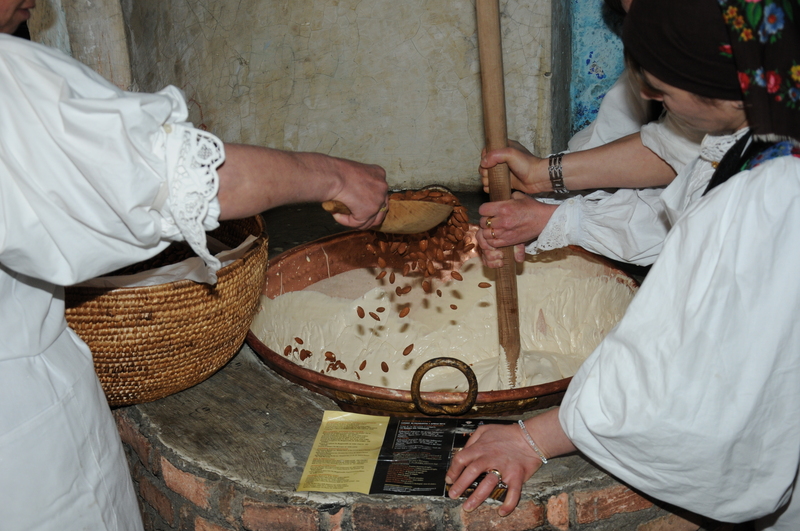 The lady’s dresses are beautifully made of richly decorated precious fabrics in bright colours, while the men are clad in white linen and dark wool outfits, with the traditional berretta longa on their heads.